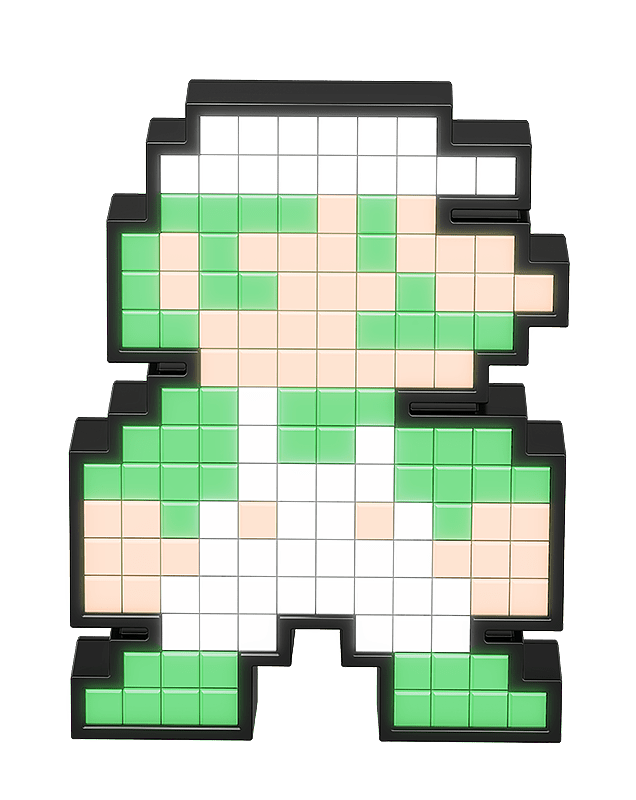 Naturally timid Luigi™ has cemented his legacy throughout the Mushroom Kingdom and beyond. 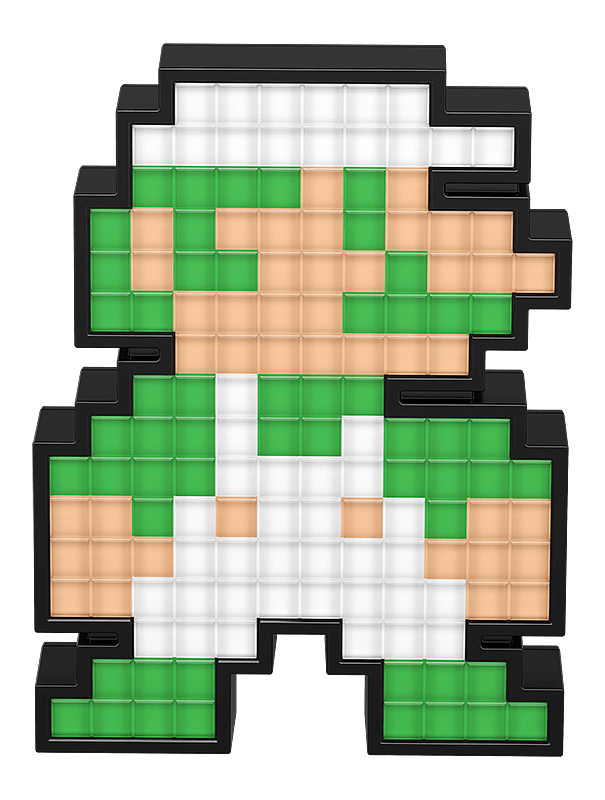 Despite being more cautious than his twin brother Mario™, Luigi has proven himself to be a fierce competitor at everything from high jumping to driving. His heroic tendencies and loveable personality will continue to inspire his adventures for years to come. 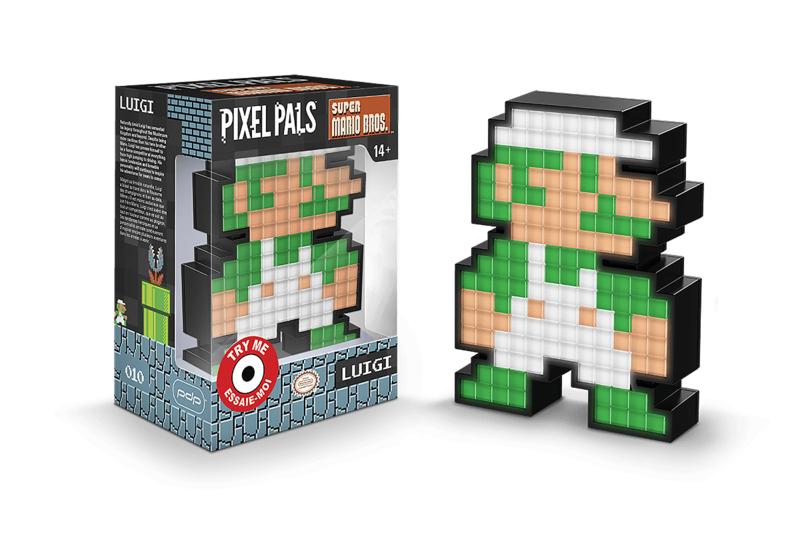 Light up your world with Pixel Pals; collectible pixel-art renditions of your favorite iconic characters! We want you to show off what you love and shine bright with Pixel Pals™. Pop in a couple AAA batteries* and you’re all set.